When you build a home, you can make it what you really want and need. But one of the areas where people could miss out on all of their options, is storage. There are a lot of dead spaces in a house where you can store all kinds of great things, but it's much easier if you design those custom storage spaces into the home from the beginning. Think about the areas under the stairs, a walk-in attic, or where you're going to put that Christmas tree for 11 months out of the year. When you create a home with those things in mind, you get the chance to have plenty of good storage that doesn't make your home feel crowded or cluttered. As you think about the creation of your home, think about the ways in which the rooms are going to be arranged. When you see the home drawn out on paper or on a computer screen, it may just look like lines, but if you look carefully you can see where there will be spaces that won't be used because of wall placement. These dead spaces are generally just sealed up in the walls, but if you use doors, drawers, cabinets or other types of built-in options, you can use nearly all the space in your new home instead of just what you would normally expect. It's a great way to add extra value to what you're already getting. If you have a two-story home, you have a lot of space under the stairs. In many homes, it's just closed up or covered over, and you don't get to use it for anything. There's really no reason you can't use that space, so when you're designing your new home, it's important to tell your builder that you want to make the under-stair space into storage. 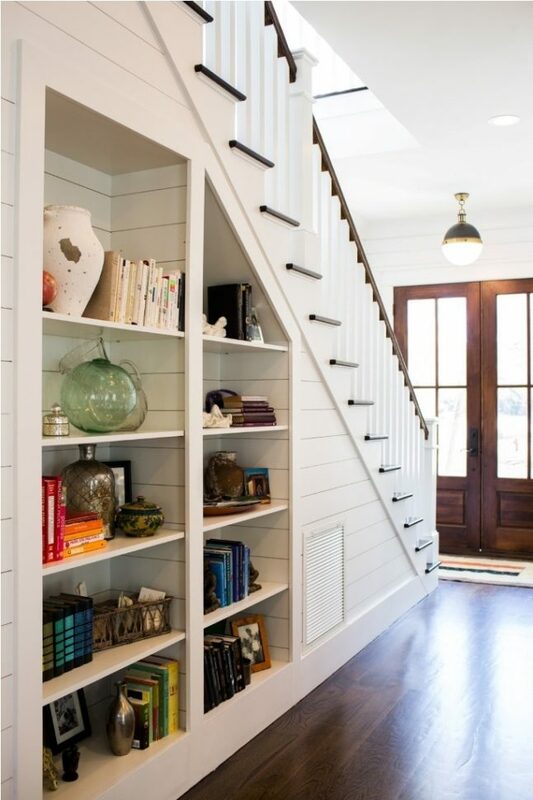 Not every home design lends itself to the option to use this space, but there are many adjustments that can be made where you can use the space under the stairs in a creative way that works for you and your storage needs. Many homes have attic space, but it's often cramped and small. Most attics are also unfinished, so there are some things you may not want to store up there due to risk of damage from temperature extremes or other issues. However, you can fix those problems by choosing to build a home with a walk-in attic that's finished out the way you want it. Not only do you get more storage space, but you get space that you can feel good about and that can be heated and cooled, if you choose to do that. It's a great way to have more room in your home. Whether you're big on Christmas or other holidays or you do something more modest for decoration purposes, you still need a place to store things when they aren't being used. In some homes, there is built-in tree storage. All you do is walk your fully decorated tree into its cabinet and shut the door when the holiday is over. Then you get it back out next year. It's easy and extremely convenient, but it's much easier to have if you build it into the design of the house from the beginning. When you work with us at Kurk Homes, you get a home builder you can trust and rely on. We understand that you may have unique needs for your home, including various types of storage. No matter what you want to be able to store in your home or how you want that storage to look, we can help you get what you need. Then you'll have a home that's not only stylish and comfortable, but one that really works for you and lets you have all the things you need to keep, but tucked away when you aren't using them. We are the only Southern Living Custom Builder to have a 20-year structural warranty. Kurk Homes designs and builds custom dream homes to a higher standard. We offer 2 x 6 exterior walls and multiple meticulous third-party inspections from pre-foundation placement to the final T.R.R.C. and Guardian Home Certification. For more information, please visit www.kurkhomes.com.